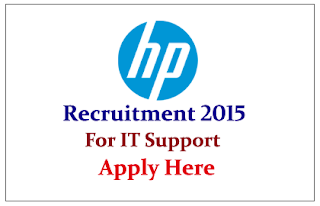 HP is recruiting for the post of IT Support Analyst. 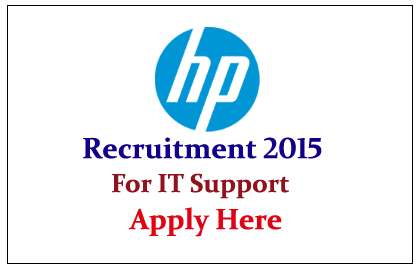 Interested and Eligible candidates can apply here as soon as possible. 1. Good verbal and written communications skills. 2. Understanding and working knowledge of infrastructure environments (e.g. operating system, security, network, voice, end user and server related applications). 3. Understanding and working knowledge of business Information Technology (IT) applications (e.g. supply chain, customer relationship mgmt, Human Resources (HR), finance). 4. Experience with monitoring and reacting to system events and end user / business requests. 5. Knowledge and experience with Information Technology Infrastructure Library (ITIL) reference model. 6. Good initiative, problem solving, priority setting, and collaboration skills. Eligible candidates can apply online as soon as possible, For more details kindly check official Notification.